Our garden terrace can accommodate more than 100 seated guests. 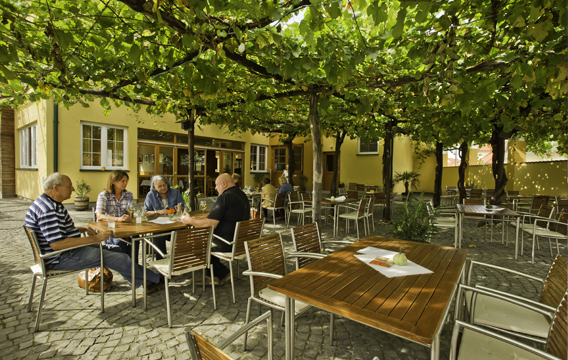 As it is covered by a vineyard-canopy, it is possible to sit outside throughout the summer in the shade. In summer we also offer special events, such as barbecues. The dates can be found by clicking on the button „aktuelles“.